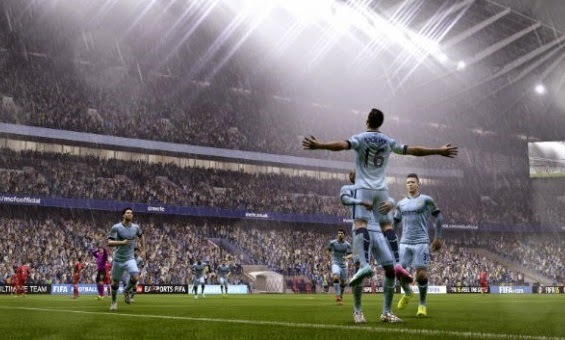 FIFA 15 has the challenging Career mode, where players must choose one of several teams available and guide them for several seasons, hiring and selling players and managed casts and formations. Not sure where to start? Check out the list of the best and richest teams in the game. The French team is wasting fortunes in recent transfer windows with large hiring and maintaining a strong cast. In addition to the absurd 102 million pounds in the first season, the team is also full of aces, which can be sold to large amounts. Current champion of the Champions League, Real Madrid could not be off the list of the most powerful. The meringues begin with 80 million pounds, and carat star Cristiano Ronaldo, Bale, Sergio Ramos and Benzema, which can be traded for absurd amounts. Even without going through its best days, the Catalans still remains relevant in the game market, with 68 million pounds to invest in salaries and hiring. Not to mention the jewelry Messi, Neymar and Suarez, who alone can make the team much profit. Shortly after Barcelona, the English team has millionaire investment, ensuring also 68 million for reinforcements. The team also has a studded cast, allowing a lot of profit by selling players like Aguero, David Silva, Kompany, Yaya Toure and many others. Main competitor of PSG in the French championship, the team of Monaco is also moved with a lot of money, 63 million per season to hire a lot. The team does not have a list of the strongest, but can profit after the return of Garcia Hawk on loan from Manchester United, which has good market value. The team of Jose Mourinho has enviable capital for hiring, 46 million to toast in reinforcements. Break, stars like Hazard, Oscar Courtois and can also yield a lot of money. Dominant force in German football Guardiola's team has £ 45 million for investments in hiring and wages. Not to mention the squad full of superstars such as Neuer, Robben, Ribery and Lewandowski. Despite poor results in recent times, the team of Liverpool is also one of the giants of world football, with 34 million to spend. The team also has good names for possible deals like Balotelli, Coutinho and Sterling. Not much talked about when it comes to top teams, the Russian team has a lot of money, 34 million per season. The cast is not really scary, but has good names like Hulk, Witsel and Garay. One of the richest in the world, the traditional team of England often invests heavily in hiring, and the game has 33 million to strengthen. Other than that, the team is full of expensive and talented players like Rooney, Wood, Van Persie and Di Maria.